I had a dental appointment (is interesting many I know are having teeth issues at this time), concerning an oral surgery for a tricky extraction. After years of fighting a losing battle with my teeth, this matter was of importance so, astrology on the rescue and I asked whether this time the operation would proceed smoothly (I am a known escapist from dental appointments) and whether it be successful. Naturally, I was biased to get a “yes all will go well”, expecting some complications but at least the surgery would take place and at most I should have to cope with medicine. Let’s see what happened, as this was a hell of an appointment. The querent (myself) is signified by the first house, its ruler Venus and Moon. 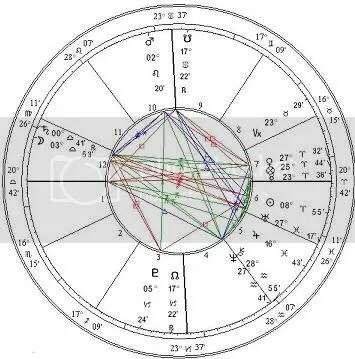 The chart is radical for a couple of reasons: ruler matches my natal one and Moon is in perfect conjunction to my natal Sun. How is the querent’s condition? Venus is in her detriment, in the 7th house of doctors (in medical Horaries), is in the hands of the doctors and not in great condition, the angularity offers accidental dignity but essentially is debilitated. First house also signifies the health of a patient, here as Venus is detrimented, so is the health. Is not a lethal condition but we know our querent is ill. Being in the term of Saturn speaks of a chronic condition which again is true. Venus is also the ruler of 8th house of surgeries, it doesn’t give us much more info. It makes sense it share ruler with the ascendant and it made some sense being a detriment. Concerning Horary charts, the ascendant on Via Combusta renders the Querent on unlucky terms. May just be scared and expecting a disaster or can pretty much already experiencing that disaster, especially if his significator planet also treads the burnt way. Dead on as it later proved. How about the illness itself? This we get by the 6th house and its ruler Jupiter. A strong domicile Jupiter, this illness is not a weakling but at least, the ruler is in mutable sign, it comes and goes and it may change for better or worst soon. As I was in the “worst” for weeks, this seemed a nice attribute, much better than having the illness in a fixed sign (which would have meant the disease was here to stay). What is even better, is Jupiter really likes Venus, he adores her, seeing her from exaltation. This is another good indication as it means the illness is friendly and therefore lenient towards the querent. What else catches our attention is the exalted Sun inside the house of ill. An extremely hot Sun, in a hot cardinal sign, often points out to acute fevers or acute inflammations. There is inflammation but Sun is also almuten of 7th house and given the outcome, it had more to do with the surgeon than anything else and you shall see how that worked in what eventually happened. I usually do not bother with outer planets but, there are exceptions. When the outer planet is positioned so as to trying hard to get our attention, like right on the cusp of a relevant house or in direct combination with the main significators. Here Uranus is like really nudging us to take him in mind. He is positioned on the cusp of the house we inquire for; the 6th house. Uranus is a disruptive planet, there always is a sudden and unexpected change, sometimes out of the blue discord and separations. This is exactly what happened in the end but, at the time of delineation I considered it a very good indication for an extraction – a sudden pulling out – of a tooth. It was time to see how the doctor scores in the chart. Is he a charlatan? Is he good? Doctors are always the 7th house in medical Horaries. Mars, ruler of the Aries 7th house is positioned in the 10th house, gaining accidental dignity by angularity but is peregrine. Beyond that, he is term, face and detriment of Saturn. Too much malefic in his dignities but it could also mean a serious person. Being peregrine is a debilitation but he gains some dignity being in mutual reception with Sun in Aries. So, our surgeon seems decently ok. Mind you he is a visiting surgeon, not my direct dentist who had made the appointment, being peregrine seems appropriate. Then why is Venus applying a square to him? Is there going to be tension between us? Definitely. Even with Mercury refrains the direct forming of the aspect, we bypass this as it is not directly related to our question. What is that Mercury doing inside the cusp of 7th house? Mercury is a co-significator for the doctor and sees Venus from detriment. Again is peregrine and angular. Combining what we have for the surgeon, he is Mars (exactly the planet assigned to surgeons) and Mercury. A short, slim man, around my age, authoritative (given the many Saturn dignities). I got the impression he would be an agile small man with some strict authoritative attitude. End of matters is the exalted but retrograde Saturn in the 12th house of his joy. I took it to mean I would have to go back to finish the surgery or its aftermath and that part, was point on. End of matters favors me as I rule it but, deeply dislikes the doctor. So far, the chart makes sense and does not talk of disaster. A few negating points fit pretty nicely the procedure I would have to go through. In this chart, it is Moon that gives the real answer. Here comes Tradition though! There is no bigger “NO” in Horary derived from aspects, than the opposition of Moon to Sun. And here, in this chart…That opposition is the one and only aspect Moon currently applies. The answer to my question whether the operation happens and goes smoothly, is given right here, by this aspect and is a loud and clear NO. The operation either won’t happen, or won’t go smoothly at all. As Moon is in a Cardinal sign, it is going to take action to prohibit the situation and my subconscious will play a part in it. And so it did. The fact Pluto is connected in the major aspect that gives the outcome, forming a T-square, might be an indication that even modern concerning the planet, it might be an interesting point to take in consideration. The surgery never took place. The visiting surgeon demanded to know too much personal information of mine, going as far as to ask my whereabouts, how I “cope with life” financially and was overall out of line and extremely aggressive. He refused to perform the surgery, he yelled and screamed in hysterical condition, he slammed his desk and in the end he was yelling for someone to call the police (!!) in fury and desperation (nobody was paying attention). Yes, I did a lot of thunderous yelling as well, proving the Venus Mars square almost an opposition. Moon played its part perfectly. I subconsciously wanted out of the procedure and I truly grabbed the opportunity of aborting when the surgeon presented the option. Judging back, I am happy I escaped, if that person lost his temper in a manner much belittling him as a male (maybe I have old minds but males should not squeal in high pitched voices), what would he do if a complication happened during the surgery? As things turned out, looking back at the chart, I would expect to see Moon in Via Combusta and Moon Void of Course as well as a mutual reception from Fall between my significator and the surgeon’s. Can you see more indication of that strife in this chart? Merely adding copyright (without editing the first post as to preserve date). The “burnt pathway”, the “burned road”. Doesn’t sound too good, does it? Via Combusta is an important celestial area for astrology. It extends on the zodiac area between 15 degrees Libra and 15 degrees Scorpio. Is considered a gloomy, baleful area, often prognosticating bad luck and overall destruction to the question asked if a significator planet happens to be within those degrees in a Horary chart. The two malefics are controlling its tolls, Saturn being in Exaltation in Libra and Mars is both Domicile and ruling the Triplicity in Scorpio. Additionally, the two luminaries suffer afflictions, as Sun is in Fall in Libra and Moon Falls in Scorpio, adding to an overall ominous combination. An example to get the picture: Suppose you are under aged and your parents go on a short journey. A great opportunity for a party arises so you call friends in. Alas, two very mean guys show up too, both older and stronger than you and both the worst type of persons one can find. You are too weak to get rid of them or just hope nothing too bad will happen. So, the Malefics are having a party time at your expense and the two major forces, your parents (the luminaries), are away on a trip, unable to protect the house. Chances are, some very nasty things will happen. In classical astrology, any planet on this part of the sky was supposed to be badly influenced and a barer of bad luck. Horary astrologers take great notice of whether the ascendant of the question or -worse- Moon herself lies in Via Combusta as it makes the chart difficult to interpret (positively at least). As the moon is the most essential celestial body in Horary, is always considered a bad omen for the outcome or the interpretation of any question to find it on Via Combusta. Moon can’t perform properly here, is unlucky, distressed and unpredictable. We are warned by Lilly, Al Biruni and Bonatius to defer judgment when Moon is in Via Combusta as Moon is afflicted. Culpeper writes “beware of the end of Libra and the beginning of Scorpio” and Gadbury elaborates that “things go unluckily on and the astrologer should understand the question perfectly avoiding a poor judgment”. So far, every time I have seen a Moon in Via Combusta, with the exception of being right on Spica (an oasis of good luck in the burned road, posited on about 25th degrees of Libra), proves to give a negative outcome for the question. Caution here: not a negative “answer” necessarily, a negative “outcome”. Concerning Horary charts, the ascendant on Via Combusta renders the Querent on unlucky terms. May just be scared and expecting a disaster or can pretty much already experiencing that disaster, especially if his Significator planet also treads the burnt way. The rest of the planets are not that important, unless they are significators able to perform in the particular question. In certain questions, such as pregnancy ones, Moon on Via Combusta can give a detrimental outcome. Remember here that when moon enters Scorpio it also enters its own fall. Finding for example a child’s significator or the moon in Via Combusta and Scorpio, assuming that we have no -extremely- strong positive indications pointing to a different outcome, it can show us an abortion or literally a fall of the child, a miscarriage. Please, do not jump in conclusions by merely seeing a single significator on Via Combusta. You should consider the overall testimonies of the chart, given by the receptions, houses and aspects. What could add more jinx-factor to a chart apart a significator or the moon herself on Via Combusta? Well, we still have the Nodes of the Moon. Either North or South, they both will bring an unlucky or downright disastrous incident. Even more so, if the are in conjunction bodily, by parallel or antiscia with our Moon or our Significators. Nodes however have this jinxy influence on their own and they deserve their own article in the future. A legitimate question is whether Via Combusta still lies in the same degrees it did in ancient and medieval times. Precession of the equinoxes has moved the signs forward on the ecliptic and so today’s Via appears in different degrees than it did in Ptolemy’s or Lilly’s times. Using sidereal charts in comparison to tropical ones, we can see that the ‘burned way’ today lies between Scorpio and Sagittarius. As a result, using sidereal charts for Horary will give us completely different Via Combusta degrees and therefore different interpretations. Which is the correct approach? Having in mind precession, I study whether the ill influence of the Via is based upon its position on the ecliptic or somewhere beyond, and I believe that it still is in relatively the same position in relation to earth that it used to occupy two thousand years ago and therefore, still giving the same results it used to give in medieval times by using tropical geocentric charts.